Golf BPM is pleased to announce that their library of progressive swing tempo music is now available for licensing to musicians, mobile apps, websites, driving ranges, golf carts, and tracking devices. Similar to how software companies have licensed their GPS and tee time technology to websites, apps and courses, Golf BPM is now making their music available for inclusion. The team at Golf BPM has also seen a rise in driving range and golf cart GPS technology they would like to target. 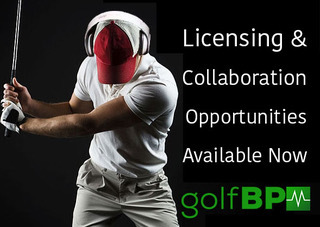 In addition, Golf BPM is also looking to partner with existing musicians who are interested in collaborating to create tracks or their own stations within Golf BPM. Musicians can tap into the existing Golf BPM framework and quickly create tracks at the correct BPM’s for perfect swing tempo ratios. Golf BPM Swing Tempo Music was created so a player of any skill level can develop the same even tempo by simply timing their swing to a library of percussive, original beats. Featuring original music from hip hop, to electronic, to rock and pop, each song contains subtly timed verbal queues so users know exactly where to hit their swing marks. On the course, at home, for a few minutes in your office, at the gym, you can use the app practically anywhere – all the time, visualizing the 3 critical timing points in the swing, and building them into muscle memory. Golf BPM is a cross-platform App available in the iTunes and Google Play. It offers a 7-day free trial on monthly and annual subscription or users can purchased as a lifetime membership.